Love how you bring your point across from 2 viewpoints. Yes, we should take more time to stop and smell the roses. Very nice. A beautiful lesson indeed. We're so busy watching out for what's just ahead of us that we don't take time to enjoy where we are. Lovely post, and you used an interesting technique as well, presenting it from two viewpoints without the two overlapping each other at all. How a message can be communicated in simple, different ways. Brilliant. Thanks Michelle :) glad you liked it! very inspirational story. sometimes the wisest words can come from the simplest people. i liked how the work is presented in two perspectives. very interesting. So true Lee....I have come across some pearls of wisdom from least expected people... Glad you enjoyed this write up and could connect to it! This is very real - you have captured the voices to perfection. For a minute I thought I was reading a real resignation letter and wondered at a poet being the CEO of MIT. Hee hee. THAT is good writing! Bravo. That was a very rejuvenating post Aditi.. :) Loved it.. one should really take time to reflect and realize. That's very insightful! You've brought out these lessons from the point of view of a different set of people and that's what makes this post so special. Very nice! There are times in our lives when we know what we need and how to accomplish that. I wish you a year of joy and enlightenment as you begin your new journey. This was so creative! I also thought I was reading a real resignation letter! A great reminder as we start this new year to enjoy life! Very inspiring and good choice of words. 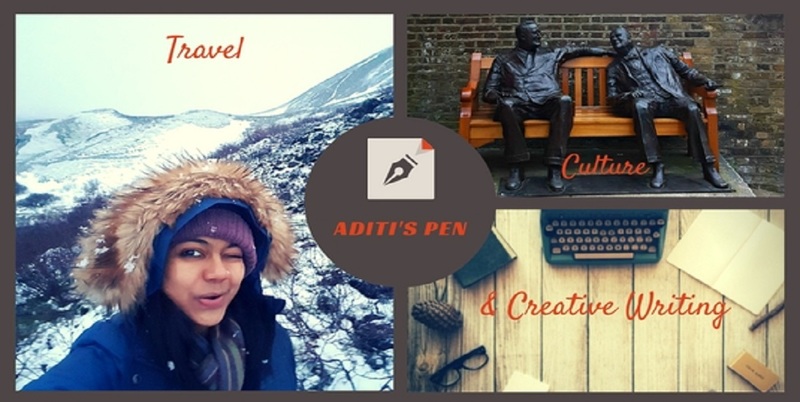 What a unique way to present a powerful message, Aditi. :) thank u...so glad this experiment worked! Have no words to express my agreement with the message. Don't we all miss the core in our pursuit of "BIG"? Oh absolutely... Always running for the big things and miss to appreciate the small joys! Oh Sid you flatter me... :) thanks!! That's fab, Aditi. Two different perspectives and it makes sense totally. Wisdom matters and I'm glad the CEO listened to his inner voice narrated through someone else.